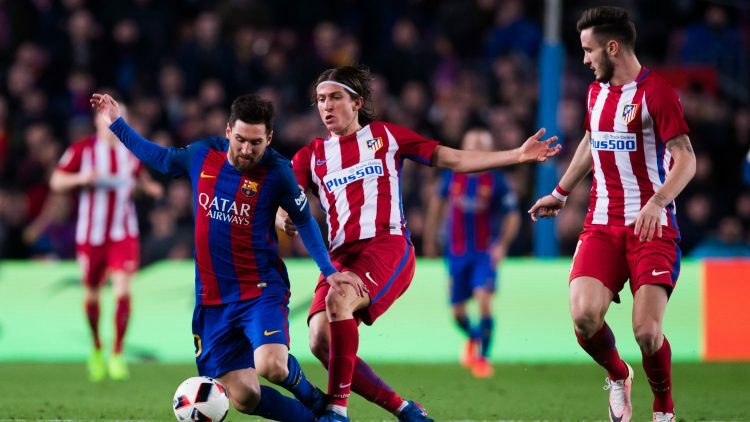 In the game of the thirteenth round of the Spanish Football League, Atletico Madrid host Barcelona. The match will take place on Saturday, November 24, 2018, at 7:45 p.m., expecting a game of the highest level, as is usual between the two emblems. Atletico is in 3rd place with 23 points, although it has only 6 wins in the first 12 days. The formation of the home has had some difficulties in reaching the goal, with only 16 goals scored, quite a few if we look at the quality of the team. Barcelona lead with 24 points, but also has had some mishaps like the injury of Argentinean star Leonel Messi. Nevertheless, the outsiders have demonstrated their offensive capacity with 34 goals scored, 10 more than the Sevilla that has the second best attack of the race. The offensive capacity of the outsiders, already with 34 goals pointed out. Atlético have shown many offensive weaknesses. Barcelona have won 3 of their last 4 games. Barca have won 2 of the last 3 trips to Atleico. Despite playing away from home and in a very difficult terrain, Barcelona has been a breaker in the attack and we believe it will leave with the 3 points of this trip!